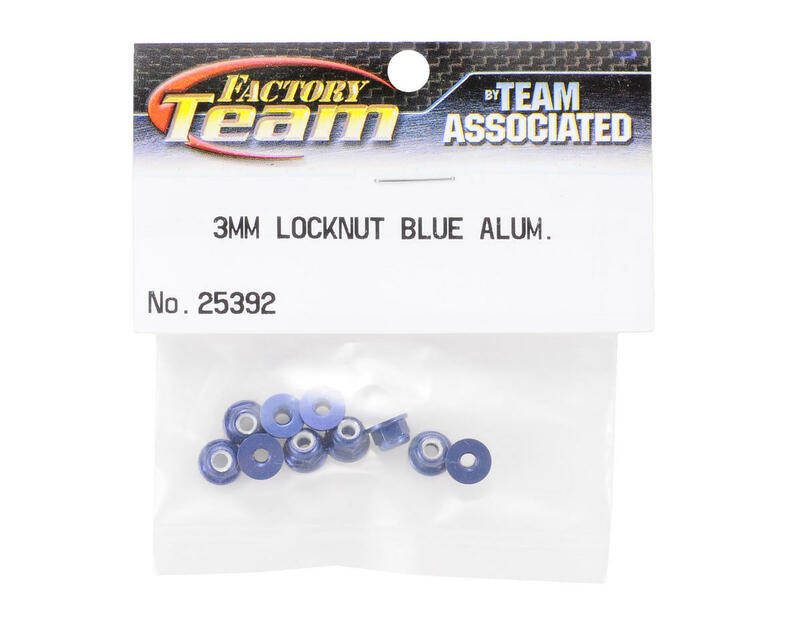 This is a pack of ten optional Team Associated Factory Team 3mm Aluminum Lock Nuts, and are intended for use with the Team Associated MGT and MGT8.0 Monster Trucks, RC18 line of vehicles and RC8 line of vehicles. 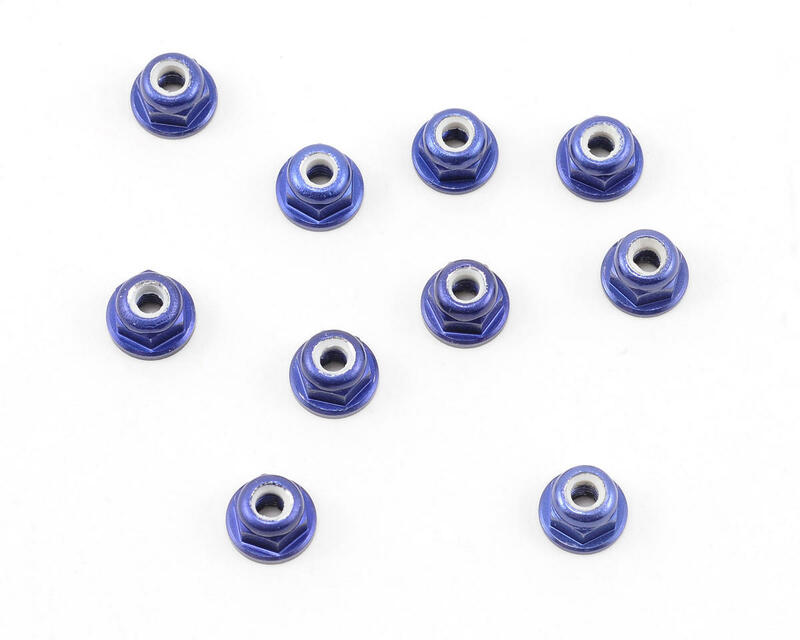 The fit was good but if you are using a metal wrench or nut driver the color will chip off very easily. I would recommend using the cheap plastic drivers for these.